Welcome to the Double B Embroidery Monogrammed Beach Tote Giveaway!! Living in the south everything you see is monogrammed or embroidered. While browsing around one night I found this Etsy store called Double B Embroidery. She is located in North Carolina and knows all about the south! Double B Embroidery is owned by Laura and her love of monogrammed gifts shows in her work. She specializes in personalizing pretty much any item for any special occasion. She can monogram gifts for birthdays, weddings, bridesmaid, groomsman, Mother’s Day, Father’s Day, Baby Showers, Teachers, and also horse items such as blankets, chairs, caps, coolers, and grooming totes. 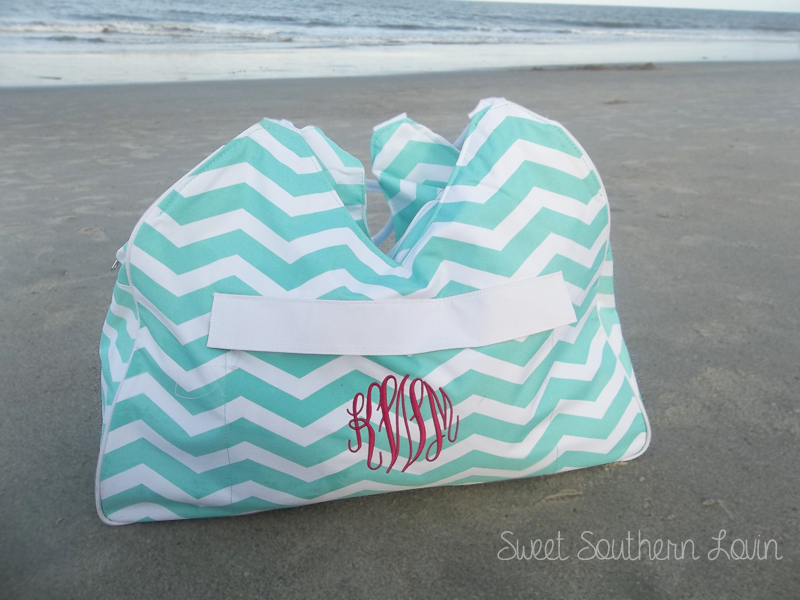 Michelle over at Sweet Southern Lovin had the opportunity to review the Monogrammed Mint Chevron Beach Bag. Head on over and check out her full review here. Prize: One lucky winner will get their choice beach bag + monogram from Double B Embroidery.